For carcass removal or wildlife control in Cincinnati and Northern Kentucky, call Tri-State Wildlife Management at (859) 635-0037. October and November are important months regarding deer in the greater Cincinnati area. Three things can be observed in these months November, each having a common cause for an increase in deer hit by cars. To start with, Tri-State Wildlife Management receives a spike of calls from customers in need of deer carcass removal. 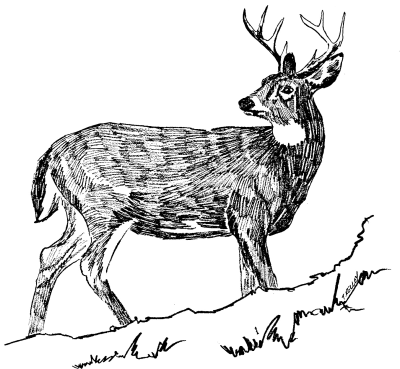 Secondly, many deer are hit by vehicles. According to State Farm Insurance, “November is the No. 1 month for deer-vehicle collisions, followed by October and December.” Lastly, deer hunting seasons in Ohio, Kentucky, and Indiana all include October and November in some fashion, be it gun or bow season. The cause of all three of these is found in the biology and behavior of white tailed deer. Mating season for deer occurs in the late fall, leading to an increase in movement, especially for bucks, in search of a doe. When a home or business owner calls Tri-State Wildlife Management about a deer carcass on their property, it’s usually due to the deer being seriously injured by a vehicle, only to walk nearby and die. Tri-State Wildlife Management takes the burden of a decomposing deer (and the related stench) off the hands of property, home, and business owners. TSWM removes dear carcasses at all stages of decomposition and can deodorize the area. Dead Deer Removal: Tri-State Wildlife Management – Wildlife Control and Carcass Removal in Cincinnati and Northern Kentucky. For dead deer removal, call today at (859) 635-0037.